There are a lot of “sevens” in September. There’s the name which is derived from the Latin “Septem,” literally meaning seven; then there’s the fact that other than the vowel “e,” the word September has seven different letters in it; and there’s the curious fact that September was actually the seventh month of the year at one point. When the Romans originally created the calendar used in the West today, “day one” was set to the first day of spring which is in March. Since there was no January or February until some time later, September was initially the seventh month, not the ninth as it is today. So, with all those “sevens” already there, we figured one more won’t hurt. Here’s a checklist of seven new dental health ideas to carry you through this fall season. 1. Clean Out that Mouth! If you’re a homeowner, you’re probably thinking about cleaning out your gutters this time of year. After all, twelve months of debris raining on the eaves of your roof means you’ve probably got a lot of junk to clear. The same goes for your teeth – particularly if it’s been twelve months! So pull out your calendar early because the schedule at your dental office can start to get busy this time of year. Homeowners and renters are familiar with the time-honored drill of replacing heating and air conditioning filters with the change of seasons. It’s also a great time to switch out your toothbrush. So, when you change the filter, change your toothbrush as well! This is one little secret that’s starting to catch on. Use a sugar-free gum that contains Xylitol – a natural sweetener derived from plants. It doesn’t break down like sugar and can help keep a neutral pH level in the mouth-both of which can help you avoid cavities. Whether it’s smoking, acidic beverages, or chewing habits that can wreck your teeth, try eliminating a habit that does harm to your teeth. Doing so now is a good idea because outside the holidays, there are fewer demands on your willpower reserves making a successful effort that much more likely. There are a lot of good dental habits you can pick up that do good by your teeth year-round. This fall, try a few you’re not familiar with and give your mouth a boost. A few new ones might be: daily flossing, going with the right food choices, or wearing a mouth guard if you play sports. Try a few on for size to see what works for you. Who says you have to wait until the holidays to spoil yourself? Why not start now by picking up a dental care tool to make your teeth look great, your gums feel great, and your breath smell great! There are a lot of options that are easy to use and easy on your budget, including teeth whitening, interproximal brushes, dental irrigators, and even tongue scrapers! 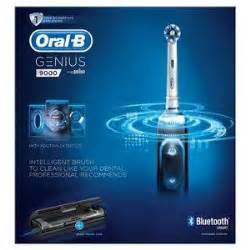 Electric toothbrushes are also a wonderful investment for your mouth. Adams and Cheek Dentistry offers discounts on Oral B power brushes to all of our patients! 7. Check in on Your Insurance Benefits! As the end of your insurance year approaches, you’re going to want to take advantage of any unused dental benefits that may still be available. In most cases any unused portion is lost when your new insurance year starts. So be on top of this … after all, they’re benefits you have already paid for! Contact Adams and Cheek Dentistry at http://raleighncdentistry.com/contact-our-office/ to schedule an appointment or to ask about how to maximize those insurance benefits. PreviousPrevious post:Dental Insurance AlternativeNextNext post:What Are White Spots On Teeth?